These waterproof hand gloves are commonly used in nurseries or during intensive home care services. Non-woven, highly absorbent and very comfortable to use. The hand mitts are lined with a plastic-like layer to protect the hand from dirt and other substances encountered on the job, especially in the toilet. 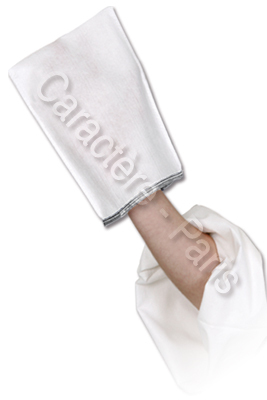 Non-woven, highly absorbent, soft and durable, these hand covering mitts will not tear during use, even with the hardest of tasks.